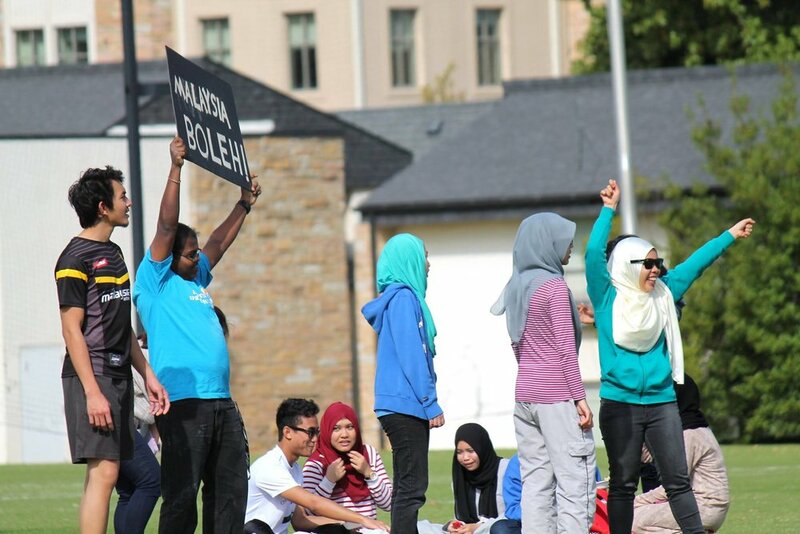 Enthusiastic loyal supporters of the Malaysian team seen at last year's soccer tournament. The Omani teams won both gold and silver in 2015. 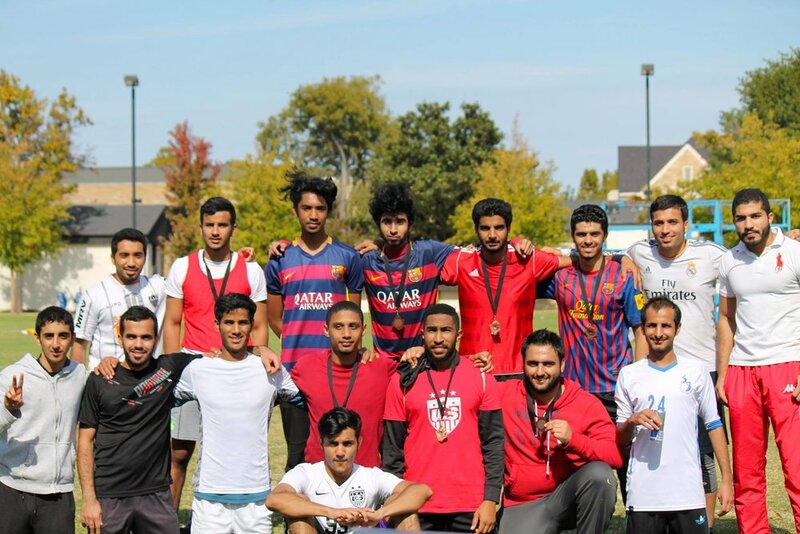 More scenes from last year's AIS Soccer tournament. 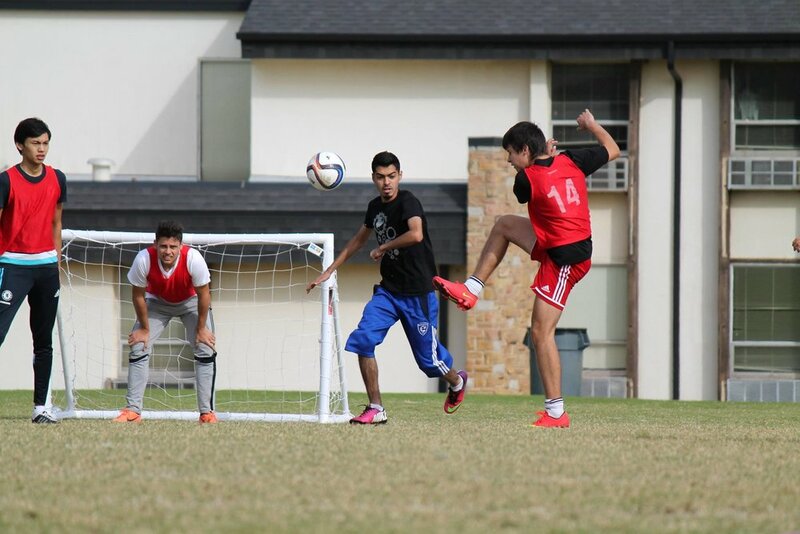 Day by day we are getting closer to the much anticipated AIS soccer tournament. Tensions run high as different teams prepare for the moment they step on the field. I got the chance to speak to members of several of the teams to see how excited and nervous they were. Timothy Ross Thompson, a member of the boys SA team spoke to me about his recent experience in the Kicking for Casa tournament. While his team won their first game, they lost their subsequent one. He doesn’t want to let his team down this time. He has been preparing by eating from Chickfila at lunch. He hopes the spirit of the chicken will allow him to play his best. Sheridan Nolen of the girls SA team, and a former high school soccer player, says she is very excited that there are “still opportunities on campus” to play her favorite sport. Unlike Ross, she did not play in kicking for Casa, however that does not make her nervous at all. Nolen has been practicing first touch, and has been running intense drills in preparation for the game. The captain of the Malaysian team, Abdullah Azis, is very excited about the upcoming game. It’s clear to this reporter that he appreciates the bonding aspect of these events. He wants to win, and to support his community. His team has been practicing on Fridays. Listening to Azis talk, you could hear his excitement and drive to win! Andrea Soruco awaits to see if her team can be filled by Saturday. She says she wishes she was more active on campus, and enjoys the events such as these that bring her friends together. Although her team isn’t complete, Soruco definitely believes that her team is the one to beat. Another excited player is Eric Sullivan from the Pi Kappa Alpha team. He and his team have been carbo loading with pasta to prepare. While he did mention his team might have a weak link, he did say he thinks the pasta is helping. When asked how he would describe his soccer-playing style, he said “Honey-Badger”. Well I sure hope to see the honey badger style this Saturday, along with many of you there, supporting your favorite teams and enjoying the festivities. On the field, there will be winners, there will be losers, but at the end the greatest victory will be supporting an amazing cause: breast-cancer!